Inspired by the North Shore area of Minnesota. 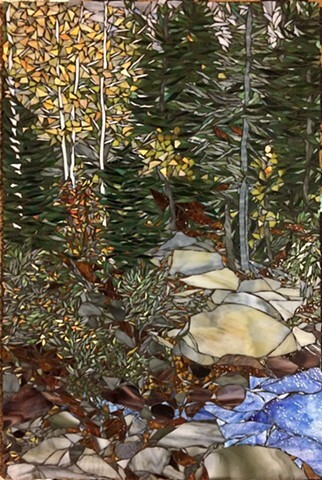 The variety of trees and rocks come through in the different textures and colors of the glass used. This is a beautiful artwork for anyone who loves the Boundary Waters Canoe Area.